ELEVEN years after clawing his way to the top with We Drink Guinness by the Case, deejay Jagwa is back with Nobody’s Girl. The song shares production credits between Jagwa and Owen ‘Ibez’ Davidson on the Collegeboiz Production label. Jagwa shares his inspiration for his latest single. “Nobody’s Girl was inspired by my personal experiences as well as my observation from others with similar experiences, relating to unfaithfulness from a man’s perspective,” he told Jamaica Observer. He said the feedback has been encouraging. “I want to thank the radio disc jocks who have been giving the song the support. “The response to the song has been good and I’m getting a lot of positive feedback from all the different corners of the world [where] it has been exposed. Persons from both sexes have expressed their pleasure with the song,” he said. 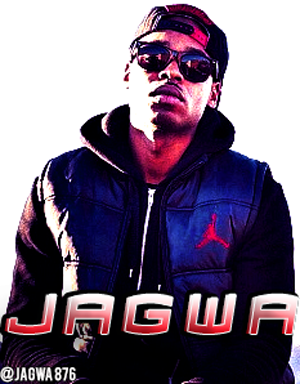 In his 30s, Jagwa has written a number of hits for established acts over the years. These acts include Shabba Ranks (Gi Dem Di Shabba); Bounty Killer (Killa Nah Trace, Killa Weh Everybody Want Kill and Do You See); Elephant Man (Nuh Come Fast) and Alozade (Jamaica). The former Kingston College student described his musical journey. “It is a constant learning experience and growing process as I keep learning more about the music business, the people in and behind the scenes, as well as learning more about myself as an artiste,” said Jagwa. Originally from Braeton in Portmore, St Catherine, the artiste moved to Cassia Park in St Andrew before migrating to New York in 2008. His other singles include Suffering; Want it All Day, featuring Voice Mail; and No Gal, featuring Bounty Killer. “I several singles coming out… Steppa on the Juss Kool label as well as Ain’t One on the Collegeboiz Production label. I’m working on my EP as well,” said Jagwa.